This is one of the all-time greats. 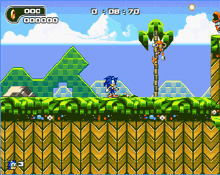 Ultimate Sonic is a great game for all age groups. Collect the rings and beware of all the predators and traps. Time is important as well.